Last weekend, Joey and I were eating breakfast on our porch and started talking about what we used to spend all our free time doing before it was filled with house renovations and wedding planning. I think we sat in silence for ten minutes racking (wracking?) our brains. “Did I golf more?” “Was I going to yoga?” “Were we just sitting around?” “I think we watched a lot of movies!” So that night, we did just that. 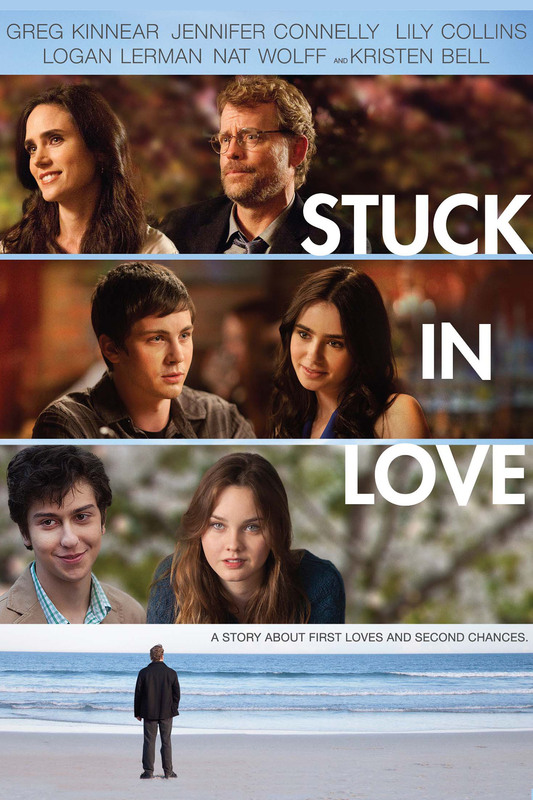 Our “Indie Pick of the Night” was Stuck in Love and we both adored it! So much so, that afterwards, even though it was early enough to watch a second movie, we decided to just go to bed. Nothing else was going to live up to what we had just watched. I can’t decide if it was the storyline between Greg Kinnear and Jennifer Connelly — who plays his ex-wife and whose house he’s constantly stalking because he’s not over her three years later — or the one about their daughter and her fear of relationships or the one about their teenage son. Or perhaps, the best of all, when all of those characters’ storylines came together. Awww, have fun at the cabin!!! And good luck with your vows if you end up writing them this weekend! We didn’t write our own vows, mostly (entirely) because I was concerned I would just end up a crying blubbering doofus and no one would be able to understand a word I was saying. But it’s always BEAUTIFUL when couples do. This movie looks good, I’ll have to check it out! On a scale of one to ten, how vain does it make me if I use the fact that I don’t want to ruin my make up as motivation to not cry?